Windows Phone 8 has been around for 12 months, and this summer device owners received their first full set of updates. Although limited in many ways, the update from Microsoft – known as GDR2 – resolves the compatibility time bomb with Google accounts, while ironing out a few small issues. Meanwhile, if you own a Nokia Lumia 920 Nokia Lumia 920 Review & Giveaway Nokia Lumia 920 Review & Giveaway A couple of weeks ago, Nokia introduced two new devices to the world: the Nokia Lumia 925 and the Nokia Lumia 928. The top notch of Windows Phone 8 devices, these two smartphones will only... Read More or 925/8 device, improvements that were introduced with the Lumia 1020 (including some great new native camera tools) have also been bundled into a second update, known as Amber. But what do these updates do, and are they needed? Since its release in 2012 as a replacement for Windows Phone 7 (a replacement as opposed to an update as first generation devices cannot be upgraded), Windows Phone 8 has had two updates. 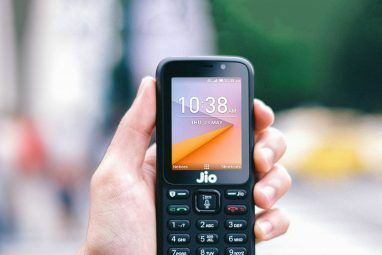 The first, GDR1 or Portico, was rolled out in December 2012 and introduced some minor enhancements such as improved Bluetooth connectivity, an “always on” option for WiFi and various bug fixes. FM Radio & Xbox Music – somewhat inexplicably, FM Radio was removed from Windows Phone 8, despite having been present in Windows Phone 7. Fortunately, it is now reinstated, along with various background improvements to Xbox Music, including fixes to bugs causing duplicate tracks, album art and metadata issues, and the ability to easily download playlists. Data Sense – inline with other mobile platforms, this new feature enables you to manage your data use and set limits. You’ll find Data Sense in the apps list after updating. Google Account Support – this long-awaited improvement will overcome the threat of Windows Phone users being unable to access Google mail and calendar accounts, announced last year when the search giant revealed it would stop supporting Microsoft’s Exchange ActiveSync (EAS) technology. Voicemail and Messaging – a curious fault with emailed voicemail messages was the inability to playback WAV files, but this has now been fixed. Also improved is Group Messaging; although working on most devices since Windows Phone 8 launched, Verizon Wireless users must update to GDR2 to enjoy this feature. Bluetooth and VoIP Improvements – drivers of some Bluetooth-equipped cars were experiencing audio cutout and other issues when playing music from their phones; this should no longer occur. VoIP apps including Skype and Microsoft Lync have been given a boost with some background performance improvements. Internet Explorer and HTML5 – media handling has been improved in the native browser, enabling support for more video and audio file types to be played back. According to figures, 80% of Windows Phone devices in current use are produced by Nokia. It makes sense, therefore, that Microsoft’s next acquisition should be producing its own range of apps and improvements for the platform it has almost single-handedly dragged into relevance. Taking advantage of the already superior camera hardware and observing some of the improvements made to other platforms, Nokia has introduced some nice additions to their own devices. Better Low Light Image Processing – Nokia phones equipped with superior hardware, software and the famous Carl Zeiss lens are already able to snap photos in low light, so improvements to the image processing care likely to result in some remarkable pictures. Support for New Camera Apps – Nokia has introduced two new camera apps 4 Amazing Lens Apps for Nokia Windows Phones 4 Amazing Lens Apps for Nokia Windows Phones Windows Phone 8’s growth has been slow but steady in the months since its release, an increase that can in part be contributed to Nokia’s excellent series of smartphones and camera hardware. Complementing this is... Read More for the Lumia 9xx devices. Initially available on the Nokia Lumia 925, Nokia Smart Camera includes four modes to help you take great images in a variety of situations. Meanwhile, Nokia Pro Camera adds a wealth of options including enhanced ISO settings, but is restricted to the Lumia 920 and above. Nokia Glance – configurable via Settings > Glance, this feature displays the time on your display when the phone is in standby. All you need to do is hover your hand over the display – an ideal tool for seeing what the time is in the middle of the night. Double-tap to Wake – rather than tap the power button, you can now double-tap the Lumia display to wake your device. Head to Settings > Touch to toggle this feature, but note that leaving it switched on will reduce battery life. Note that this feature is only supported on the Nokia Lumia 9xx and 10xx models. 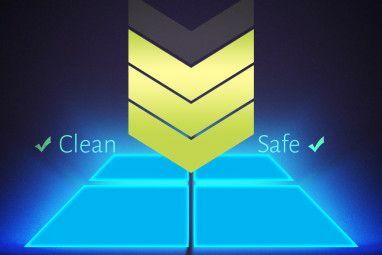 Storage Check – a much-needed enhancement, this option is available in the Settings menu and provides a detailed account of your phone’s storage, displaying usage in a ring chart and offering the facility to easily delete apps, maps and temporary files with a single click to retrieve space. Flip to Silence – not ready to take that call? Open Settings > Audio > Enhancements and enable Flip to Silence, which enables you to silence the phone when it rings at an inopportune time, by placing the device screen-down. Note that you shouldn’t use this without a screen protector! Call + SMS Filter – so many developers have attempted to introduce such a facility to Windows Phone, but have been blocked by the limited API access. Fortunately, Nokia isn’t restricted in this way, so now Windows Phone owners can block unwanted calls and SMS messages via a single tool in Settings > Call+SMS filter. Not Updated Yet? Here’s How! Finding and installing updates on Windows Phone 8 Windows Phone 8: The Complete Review Windows Phone 8: The Complete Review Question: how do you improve on perfection? Answer: you wait for someone else to have a go. A quick look around the smartphone market reveals that Apple’s iOS and Google’s Android operating systems are top... Read More is easy. You don’t need to connect to your computer, as the update can be sent over the air. However, if you are on a metered data account, you might prefer to switch to WiFi networking in order to download the update. Similarly, if you are pressed for time, switch to WiFi. 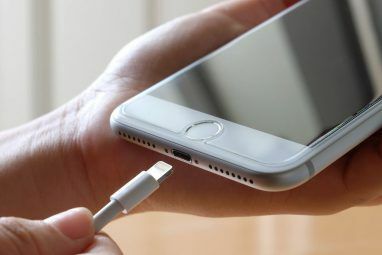 Also, don’t attempt to update without charging your phone first. You can check if updates are available by opening Settings > Phone update > Check for updates. Lumia owners can use the Nokia support page to check the rollout schedule for their mobile network. Note also that some networks are holding off on GDR2 and bundling the updates with GDR3, a firmware update which is set to be released from November. The GDR2 updates are a solid collection of improvements that don’t really bring anything new and shiny to Windows Phone 8, other than the FM radio. Meanwhile, the Amber update from Nokia does a good job at improving the camera – seriously pushing things well beyond Samsung and Apple’s current offerings – but other than this the additions are of things that should really have shipped across all devices receiving the update. If anything, the GDR2 and Amber updates prove that Nokia is in firm control of Windows Phone 8, while HTC and other manufacturers are merely following the leader, perhaps a little half-heartedly. Do you own a Windows Phone 8 device? Are you happy with the 2013 updates, or did you expect more? Let us know your thoughts in the comments below. Explore more about: Nokia, Software Updater, Windows Phone, Windows Phone 8. Car profile which can give easy access of phone while driving like when in car drive mode call comes just touch the screen any where when call comes and call gets picked up on speaker phone etc. It is disappointing that AT&T still hasn't released Amber in the US and provide no hint as to when it will happen. The phone is great and it's the only reason I went with AT&T. Otherwise, they give you no reason whatsoever to like them. Unfortunately, I have another year to go on my contract - after that's up, they're gone.
. . . and when AT&T does decide to roll out the Amber/GDR2 update to users, they have stripped out the important Data Sense app (while they haven't rolled out the update yet to existing users, new phones with GDR2 and AT&T branding like the Lumia 1020 do not have Data Sense, and my queries to AT&T have been answered with "Data Sense is not coming in updates". Either switch carriers or flash your ROM to unbrand AT&T from the device (NOTE this voids the warranty and there is a small risk of bricking the phone). I flashed my Lumia 920, and now have Amber/GDR2 with ALL components working (I love it), while others must wait for an indeterminate period, and still get a sub-standard offering. Contact AT&T and let them know of your displeasure with this horrible policy. I have a htc Río 8s windows phone and i am still waiting for the update gdr2.when is uk phones getting this update. Hi Philip - my phone is in the UK, along with me! I think you would need to check with your network, perhaps heir support forum? Bless you Anish, I couldn't find anything that stated explicitly that this was included AND working, so thanks for adding. No resume in an audiobook? Podcasts can resume; video can resume... perhaps it's the app you're using? No search function? Never needed one outside of People, where there is one. Or Office - where there is one. Or the Apps list - where there is also a search button. 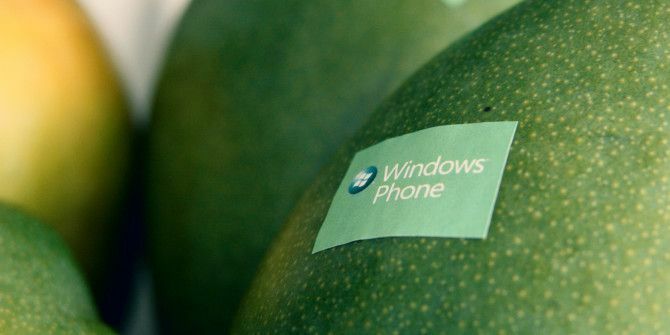 Have you actually got a Windows Phone? my music player on the phone is not able to do it.But Yes,able to resume video,podcast. Good read for anyone not up to speed on the GDRs.